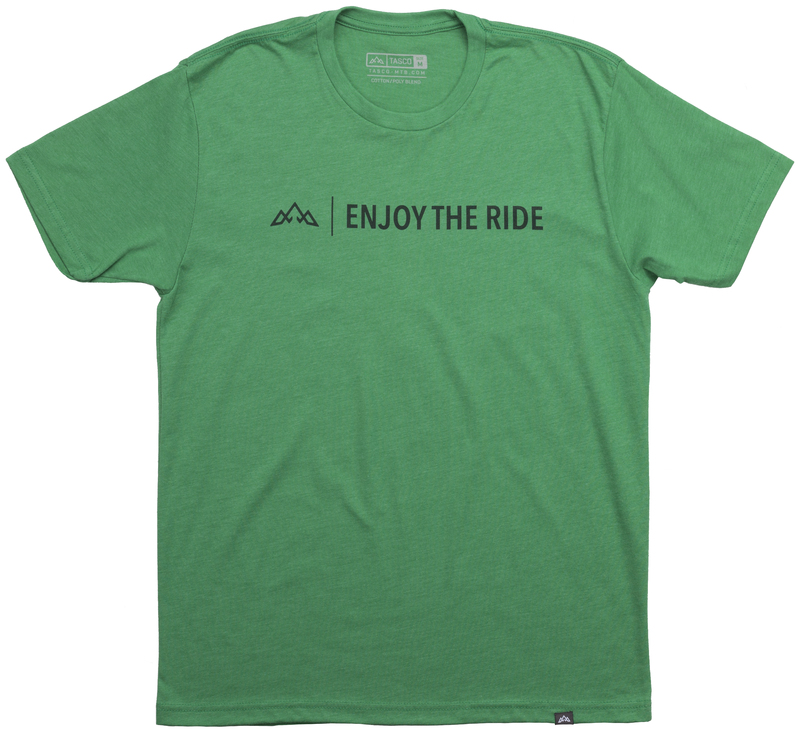 You enjoy your riding while you're on the bike, but now you can let others know you enjoy riding while you're off the bike. 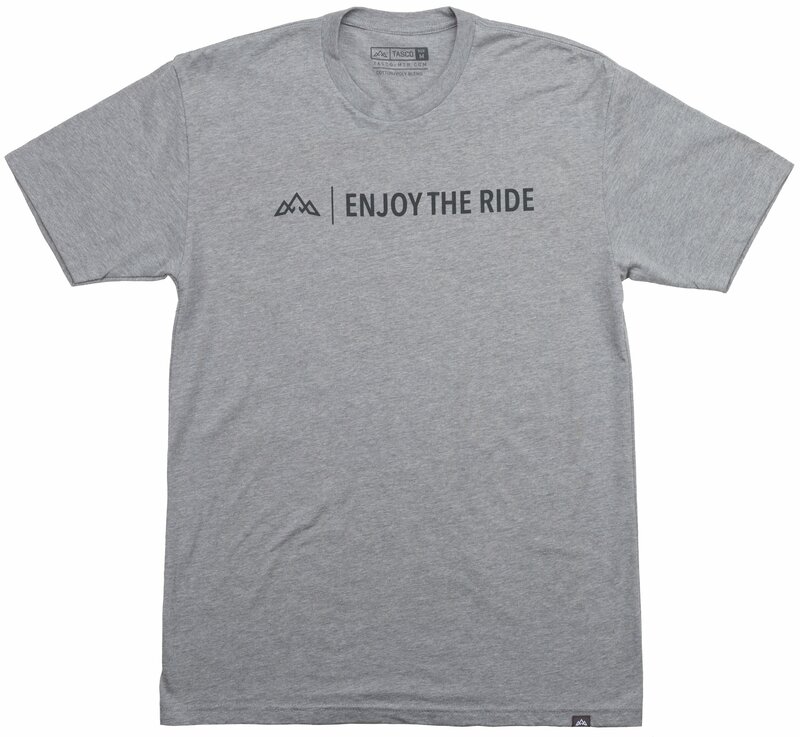 The Tasco MTB Enjoy The Ride T-Shirt lets others know about your love of bicycles. 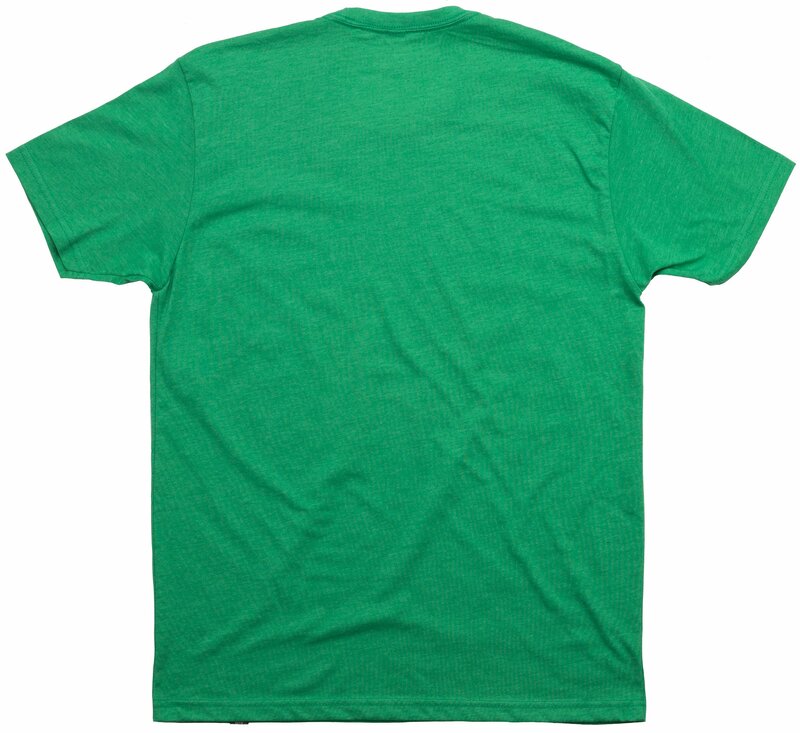 It is made of ring-spun combed cotton and polyester. The printing is done using environmentally friendly, water-based inks. The inks are embedded into the fabric for a soft look and feel. Not only will you look better than everyone else, but you'll also feel better than everyone else with the Tasco MTB Enjoy The Ride T-Shirt. 17.5" 19" 20.5" 22" 24" 26"